wedding ceremony set will definitely help you create a romantic wedding day! 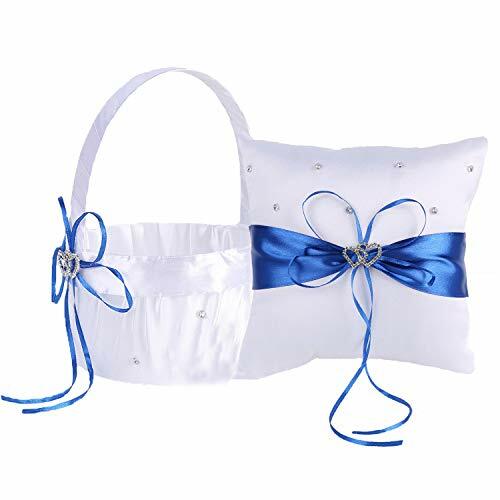 ✿100% - quality Handmade, use high quality satin fabric. Decorations, Banquet Event, Special Event, DIY etc. Flower Basket: Diameter: 5", Height with Handle: 8.2"
1. Size may have 0.3-0.7'' difference due to hand manual measurement. refund Guarantee and will give you a perfect solution within 24 hours. If you have any questions about this product by TrueLoveGift, contact us by completing and submitting the form below. If you are looking for a specif part number, please include it with your message.